BeatLease.com is committed to respecting and protecting the privacy of visitors to our web sites as well as the privacy of our actual customers. Once you choose to provide us personally identifiable information (any information by which you can be identified), you can be assured that it will only be used to support your customer relationship with BeatLease.com. At no time is BeatLease.com ever in possession of your complete credit card information. All of our online transactions are processed by Worldpay and Paypal using their secure servers and remain in a secure environment BeatLease.com also cannot gain access to your complete credit card information. 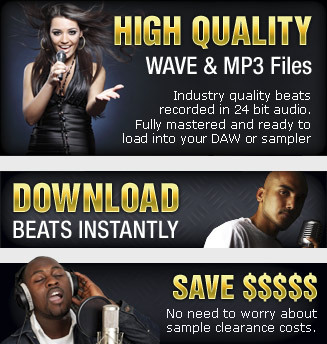 When you sign up for BeatLease.com 's services, you provide us with contact. Contact information typically includes your name, address, and phone number. While you are a BeatLease.com customer, we manage information with regard to your account status, choice of services, and customer logs. In addition, we may store customers' electronic mail and other communications as a necessary incident to the transmission and delivery of those communications. BeatLease.com may share customer information with selected partners/third parties, for example, to provide you with information about products which might be of interest to you or to enable you to take advantage of special partner programs. BeatLease.com may also use customer information to provide customers with system information or information about new or upgraded products. We will not otherwise disclose customer personal and account information unless we have reason to believe that disclosing such information is necessary to identify, make contact with, or bring legal action against someone who may be causing harm or interfering with the rights or property of BeatLease.com , our customers, or others, or where BeatLease.com has a good faith belief that the law requires such disclosure. obtained by BeatLease.com and appear to pertain to the commission of a crime. Customers may opt out of receiving newsletters and/or notices of new or upgraded products from BeatLease.com by sending a request via our contact form. In this request, customers must identify the exact contact information they wish us to remove. Please note, however, that BeatLease.com reserves the right to send bulletins and other important information regarding our services at our discretion.